The Central African Republic (CAR) has had intermittent episodes of coups d’état and political instability since its independence from France in 1960. There has only been one peaceful transition of power, when President Ange-Félix Patassé was democratically elected in 1993. 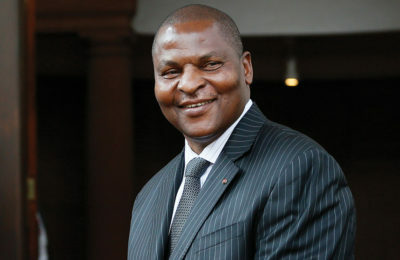 The current conflict in CAR began in late 2012, when the Séléka armed rebel group launched several attacks on government forces, resulting in the overthrow of the former president François Bozizé on 23 March 2013. Since then, the country has been subject to protracted instability, mostly in Bangui and the north-eastern regions. After the March 2013 uprising that removed Bozizé from power, Michel Djotodia was declared president. However, his inability to end the violent conflict led to his demise. On 23 January 2014, Catherine Samba-Panza was declared the head of state of the transition. She served in this position until the election of President Faustin-Archange Touadéra in February 2016. 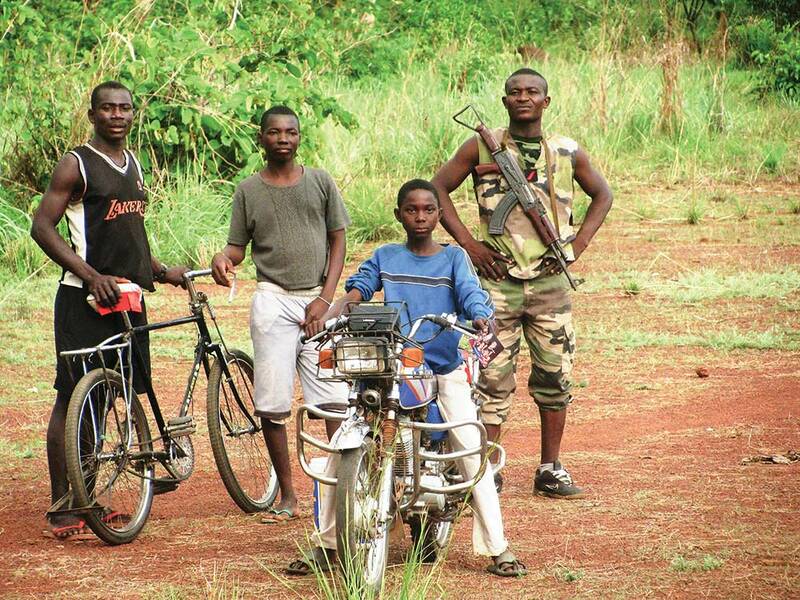 Since the ousting of Bozizé, violent conflicts and atrocities have escalated between the Séléka rebels and the Anti-balaka armed groups. There has been a proliferation of armed rebel groups (there are currently 14)1 that attack villages and United Nations Multidimensional Integrated Stabilization Mission in Central African Republic (MINUSCA) peacekeepers. 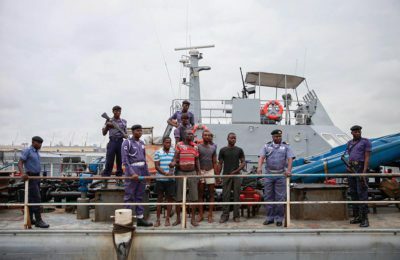 However, there have been some positive security developments, due to the presence of the former African-led International Support Mission to the Central African Republic (MISCA), and the mediation process conducted by the Economic Community of Central African States (ECCAS), MINUSCA and the French armed forces. 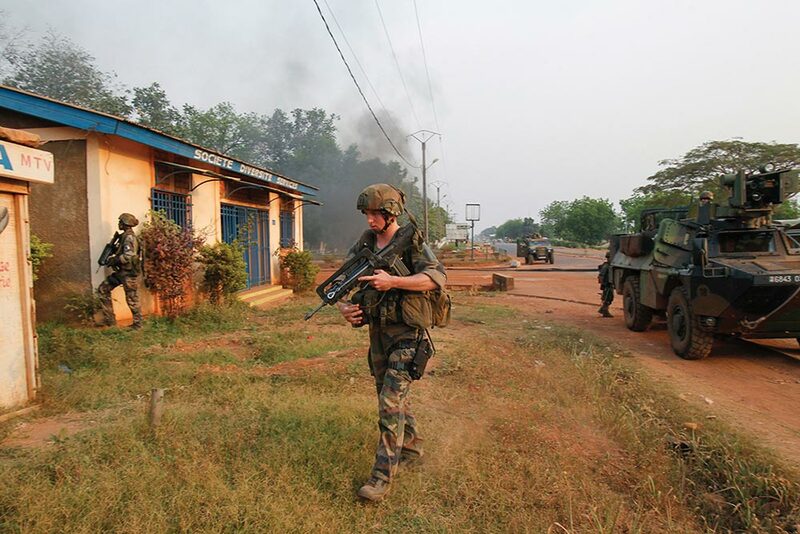 The French mission – codenamed Sangaris Operation – was established in 2013. The mission supported MINUSCA to maintain peace and order, and its presence reduced high levels of violence. 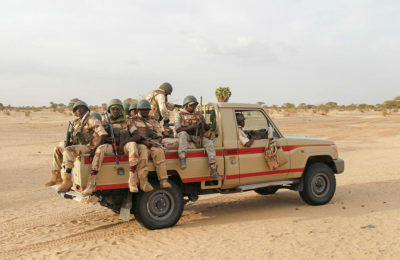 But, the French mission failed to disarm militias terrorising the population.2 Most of the French troops pulled out of CAR in October 2016, after France ended its military mission. 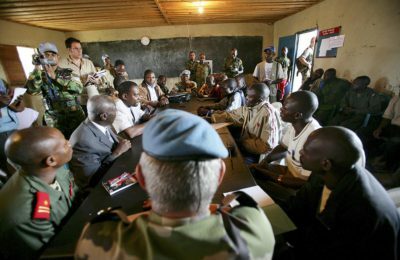 However, a few French troops remained in CAR to support MINUSCA. Many civilians have been killed and thousands of people have been displaced since 2012. Despite the fact that peace and security are still volatile, there has been a decrease in violence since the establishment of MINUSCA with its robust mandate that was issued in 2014. 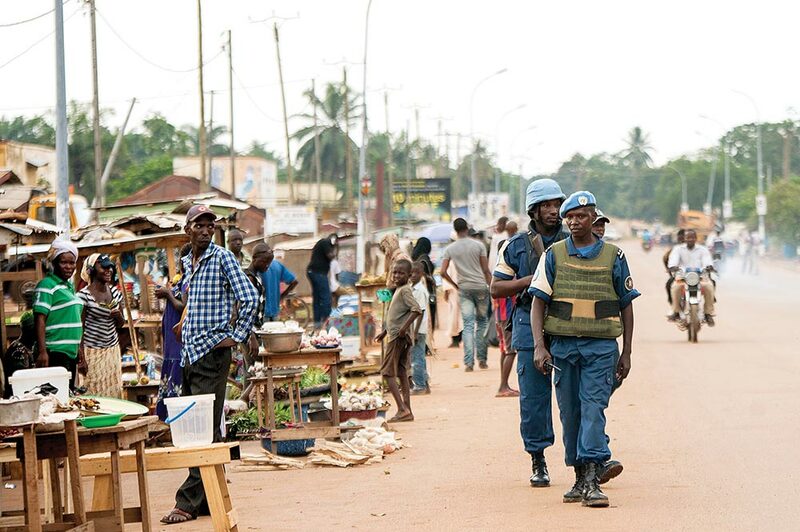 Security on the ground has improved, mostly in the capital city, Bangui, but armed groups still pose a threat to stability, especially in the Bambari, Bangassou and Bossangoa regions. There are over 412 000 internally displaced persons (IDPs) and 491 000 Central African refugees3 who live in makeshift camps in Bangui and neighbouring countries. In 2015, CAR ranked first among African countries for the highest number of new displacements associated with conflict and violence, relative to population size.4 Recurrent clashes between armed rebel groups in the towns of Bambari, Ganama, Kouango, Kaga-Bandoro, Koui and Domete (north of the capital) have forced thousands to seek refuge in neighbouring countries. Touadéra has consequently prioritised peace, security and development across the country. The president’s priorities in terms of peace and security, however, have not yet fully materialised into sustainable stability and economic development, and have had little impact on the everyday lives of ordinary Central Africans. On the one hand, the departure of the French Sangaris forces increased pressure on the government to implement the necessary security sector reforms (SSR) effectively, and to encourage armed rebel groups to participate in the country’s dialogue process. On the other hand, continued fighting between rival rebel groups and attacks on United Nations (UN) peacekeepers has undermined the prospect of peace and stability in CAR. 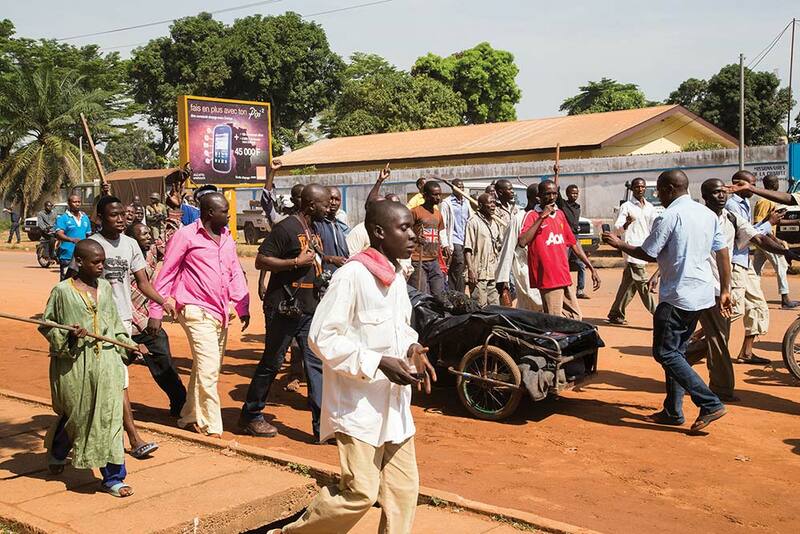 CAR’s violence and turmoil has affected vulnerable people – women, children and the youth. Most young people are unemployed, and this has made them an easy target to be recruited by armed rebel groups. Youth unemployment (percentage of total labour force between the ages of 15 and 24) is estimated to be 12%,5 whereas 75% of CAR’s population (4.5 million) are under 35 years old.6 CAR youth have been part of the conflict, either as members of armed rebel groups or agents of peace. Given their active roles during conflicts, young people have also been playing an important role in negotiation, conflict analysis, social cohesion, inclusive national dialogue, reconciliation, entrepreneurship, peace promotion and mediation. 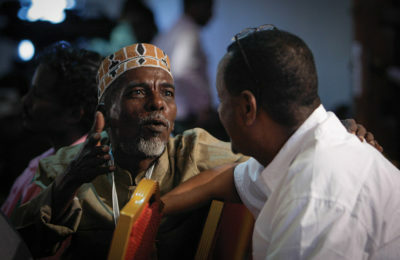 Since the beginning of the conflict, concerns have been raised by the youth about local and national policy frameworks that would promote the inclusion of youth in peacebuilding and post-conflict reconstruction.7 Many youth organisations, such as Bird of Peace,8 strive to enhance the respect of human rights, good governance, rule of law and capacity-building through peace education programmes. Some youth organisations in CAR are already engaged in designing, planning and implementing programmes and activities to resolve conflicts and promote peace. ONG Prospérité, for example, is involved in peace clubs, community dialogue and youth capacity-building. ONG Prospérité offers skills programmes that encourage young people to train their communities and foster peace education among the CAR population. Youth organisations have also been urging young people and child soldiers to leave armed rebel groups. 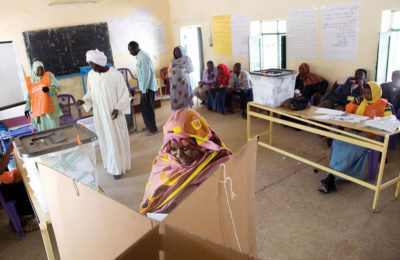 Most of these organisations – such as the International Organization for Migration, MINUSCA, UN Children’s Fund and the UN Population Fund – are funded by foreign donors, but it could also be a great opportunity for the African Union (AU) and ECCAS to engage (or increase their engagement in terms of resources) these young peacebuilding actors. However, ECCAS has recently been promoting youth participation in peacebuilding and conflict transformation initiatives. In December 2015, the UN Security Council (UNSC) unanimously adopted Resolution 2250 on Youth, Peace and Security. 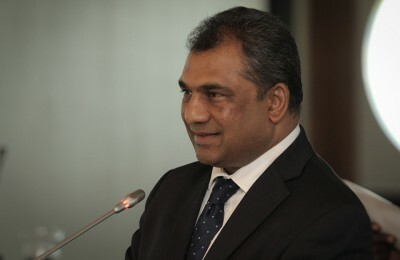 The UNSC urged member states to consider setting up mechanisms that would enable young people to participate meaningfully in peace processes and dispute resolution.9 Member states were also encouraged to empower youths and engage non-governmental actors to counter violent extremism, and build sustainable peace and security. Hence, the youth need to be part of local and national youth peacebuilding and stabilisation programmes in CAR and contribute to conflict resolution, durable peace and stability. In some African countries, strong youth engagement has proven to be an important tool in conflict management. In the Democratic Republic of the Congo (DRC), for instance, Fondation Chirezi (FOCHI) established “baraza” courts (conflict resolution and mediation gatherings in local communities) to resolve small conflicts and land issues in villages. FOCHI is a grassroots initiative that provides conflict resolution, mediation and peace education to communities and young people. Most of the trained young people apply dialogue and mediation skills to resolve conflicts in their respective villages.10 This example shows that young people can play a prominent role in conflict transformation and peace consolidation in the DRC or CAR. CAR youth are aware that inclusive and honest dialogue will pave the way for sustainable national reconciliation, and they have played a role in setting up peace, dialogue and reconciliation committees in several neighbourhoods and districts affected by conflict. Most of these committees have expanded to become youth organisations with clear visions of local, specific needs in terms of conflict resolution and peace consolidation. Emmanuel Koudoubada, executive director of ONG Vitalité Plus, argues that his organisation, for example, has organised a number of round tables to diagnose the conflict’s origins and causes of conflict, as well as different mechanisms to prevent and transform the conflict. ONG Vitalité Plus has established 13 peace committees in six different cities throughout the country. These peace committees have trained over 2 860 young people (1 467 girls and 1 393 boys) in peace education and conflict transformation. A total of 3 210 young people have been trained in income-generating activities (mechanics, carpentry, electricity and brickmaking) with the financial support of the UN Development Programme (UNDP), Food and Agriculture Organization of the United Nations (FAO) and the French and Australian embassies. These micro-projects have transformed young people into peacebuilders.13 However, further steps should be taken to build resilience, through voluntary service jobs and mentorship of the youth to become self-reliant, rebuild their lives within their communities and consolidate peace. It should be noted that there are also several challenges to overcome to transform the conflict in CAR. These challenges require an impartial and fair justice system, which would bring about peace and reconciliation in the country, and a youth socio-economic empowerment programme that will address youth unemployment challenges. 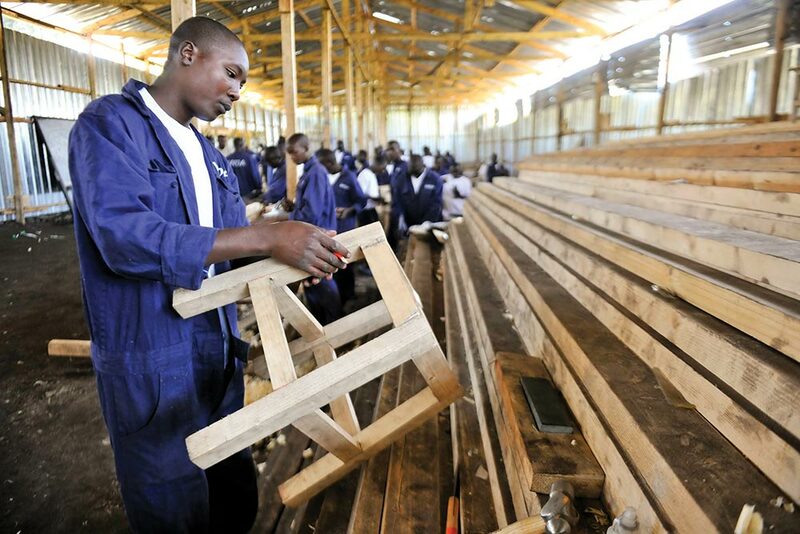 Given the fact that youth employment is vital in conflict transformation and a matter of great importance for the CAR government, a national labour-intensive public works programme (THIMO) was launched by the government and funded by the World Bank. In this programme, state-owned companies employ youth, irrespective of their background or education. THIMO has become an important tool in violence and unemployment reduction, stability enhancement and the promotion of social cohesion in local communities.14 In terms of future prospects, ONG Vitalité Plus argues that several vocational and semi-professional training activities need to be conducted by partners for the youth – in addition to the provision of jobs – so that they can participate in long-lasting peace and security of people and property.15 ECCAS, which is one of CAR’s prominent regional partners, has been training youth and women in mediation, conflict analysis and prevention. However, youth participation in these programmes alone is not enough to foster youth integration and reduce the causes of insecurity. Therefore, the CAR government and its partners need to invest in more post-conflict reconstruction and development programmes that promote further conflict transformation and peacebuilding efforts such as conflict prevention, human security training, youth development and leadership-building programmes. The RCPCA could likely be negatively affected if the stabilisation plan is not owned by the youth, who may not implement programmes effectively that they neither designed nor planned.21 However, the youth have pledged their support to the RCPCA, and this may still pave the way for peace, reconciliation, democracy and social cohesion. Anthony Fabrice Kettemalet, founder of the Bird of Peace organisation, argues that the conference’s outcomes were a success that will unite CAR people.22 For the CAR government and its peacebuilding partners to expand the plan to involve the youth, they need to support and provide resources to youth-led programmes at local and national levels. Such programmes should ensure equal access to the country’s vast resources, through initiatives such as youth entrepreneurship and education. Socio-economic transformation entails the CAR government investing in education, healthcare and employment opportunities. The AU has urged its member states to invest in youth, and they can become prominent partners for development at the continental level. The AU Youth Charter recommends that states strengthen the capacity of young people and youth organisations in peacebuilding, conflict prevention and conflict resolution.23 Through quality education and vocational training, CAR youth can be equipped to be the government’s key partners in the implementation of peacebuilding programmes. ONG Prospérité observes that youth should be trained in mediation and negotiation skills, so that they can prevent or manage conflicts in their communities of origins.24 The government needs to ensure that the youth are a necessary and important partner in working to attain a successful, stable and secure CAR, and achieve durable peace. Successful peacebuilding requires the coordinated participation of all stakeholders, including women and the youth, in a country where the majority of young people have lost trust in the national institutions. It is mostly for this reason that young people have become perpetrators of criminal activities. In addition, CAR citizens have expressed their disappointment in the capacity of MINUSCA to ensure the protection of civilians and support national security, following the continued attacks by armed rebel groups in different cities. 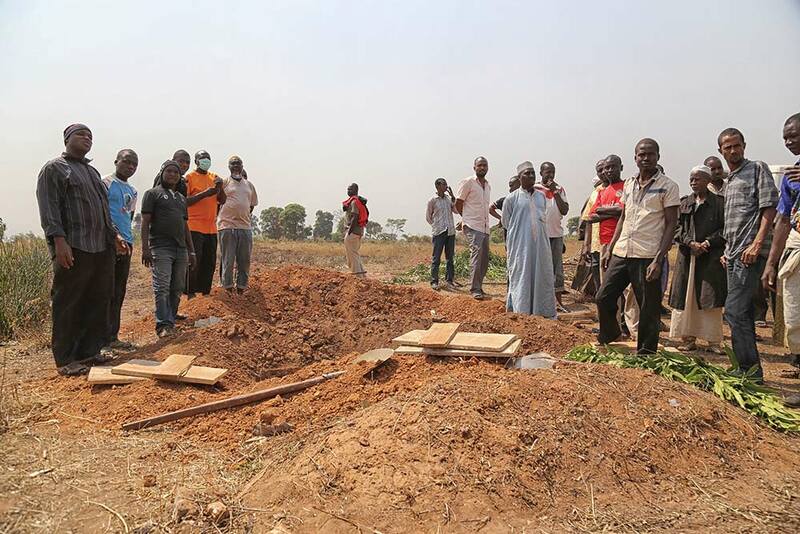 Insecurity continues to be a driver of community displacement and a primary concern for over half a million IDPs and refugees, especially youth, who have fled from their homes to other areas and into neighbouring countries. The continuation of the conflict in CAR is therefore a potential destabilisation factor within the Central African region – violence may escalate as social and political groups pursue each other’s interests to settle grievances. Young people’s commitment to supporting national institutions and a peacebuilding plan would positively transform CAR’s conflict, leading to stability. Conflict transformation in CAR will be a long, complex and ongoing process. All stakeholders should be engaged to address the root causes of conflict, to transform violence into durable peace. CAR youth should be at the forefront of peacebuilding and conflict transformation. As the youth are both actors and victims of war, their exclusion from decision-making processes is a negative factor in the country’s ability to emerge from conflict. If the youth are not regarded as peace partners to be empowered or invested in, the AU’s 2017 focus on harnessing demographic dividends through investing in youth becomes just another empty slogan. Enabling a youth-led transformation process will pave the way for a peaceful and conflict-free society in CAR. The current inability by national and international actors to provide and sustain security throughout CAR is still a stumbling block to peace consolidation – in some regions, renewed violence has prevented the restoration of state authority and the implementation of peacebuilding programmes. 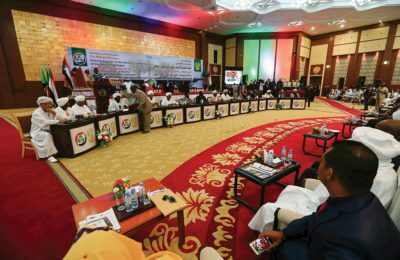 Nonetheless, the CAR government deserves some measure of commendation for its resolute commitment to consolidate peace, and it remains committed to addressing these national challenges. There is a high probability that the country could relapse into renewed hostilities if the youth do not participate by playing a prominent role in the RCPCA’s implementation as peacebuilding stakeholders. Without stability in the country, the implementation of the RCPCA remains an elusive ideal. However, CAR youth are hopeful that as they embrace peace or become agents in the collective global effort to find peace, stability and development can still be achieved. Reuters (2017) ‘Central African Republic Foes Sign Church-mediated Peace Accord’, Available at: <https://www.reuters.com/article/centralafrica-accord-idUSL8N1JG4Q6> [Accessed 17 July 2017]. AFP (2016) ‘Central African Militias Gather as French Troops Leave’, Available at: <https://www.thelocal.fr/20161030/central-african-militias-gather-as-french-troops-leave> [Accessed 5 April 2017]. Internal Displacement Monitoring Centre (2016a) ‘Central African Republic’, Available at: <http://www.internal-displacement.org/countries/central-african-republic> [Accessed 19 January 2017]. Internal Displacement Monitoring Centre (2016b) ‘Africa Report on Internal Displacement’, Available at: <http://www.internal-displacement.org/assets/publications/2016/2016-Africa-Report/20161209-IDMC-Africa-report-web-en.pdf> [Accessed 14 January 2017]. World Bank (2016) ‘Unemployment, Youth Total (% of Total Labor Force Ages 15–24)’, Available at: <http://data.worldbank.org/indicator/SL.UEM.1524.ZS> [Accessed 11 January 2017]. UNFPA (2016) ‘UNSG Youth Envoy Amplifies the Voice of Youth from Central African Republic’, Available at: <http://car.unfpa.org/en/node/5137> [Accessed 3 July 2017]. For purposes of this article, youth or young people refer to every person between the ages of 15 and 35 years. Kettemalet, A. Fabrice (2017) Email interview with the author on 7 February 2017. Bird of Peace is conflict transformation non-governmental organisation. Its objective is to use education as a way to spread peace among the young people of CAR. It raises awareness among young people about non-violence, and trains young people in conflict transformation and mediation. UN (2015) ‘Security Council, Unanimously Adopting Resolution 2250 (2015), Urges Member States to Increase Representation of Youth in Decision-making at All Levels’, Available at: <http://www.un.org/press/en/2015/sc12149.doc.htm> [Accessed 10 January 2017]. Msabwamlundu, Moise (2015) Interview with the author on 4 August. Uvira, DRC. Melton, Marissa and Solomon, Salem (2016) ‘UN: 10,000 Children Kept from School in CAR’, Voice Of America, 30 September, Available at: <http://www.voanews.com/a/united-nations-children-kept-from-school-central-african-republic/3532706.html> [Accessed 13 January 2017]. Djimassina, Claude (2017) Email interview with the author on 1 February 2017. Koudoubada, Emmanuel (2017) Email interview with author on 24 February. 14 aBangui (2016a) ‘Les Thimo pour consolider la paix et pour éradiquer la pauvreté‘, Available at: <http://news.abangui.com/h/43583.html> [Accessed 10 February 2017]. Melton, Marissa and Solomon, Salem (2016) op. cit..
UN (2012) ‘Report of the Secretary-General on Peacebuilding in the Aftermath of Conflict’, A/67/499– S/2012/746, 8 October 2012, para. 36, Available at: <http://www.un.org/en/peacebuilding/pbso/pdf/SG%20report%20PB%202012.pdf> [Accessed 13 January 2017]. UN News Centre (2016) ‘Central African Republic: Justice and Reconciliation Key to Lasting Peace, UN Expert Says’, Available at: <http://www.un.org/apps/news/story.asp?NewsID=55569#.WHV9mtJ961v> [Accessed 14 January 2017]. European External Action Service (2016) ‘CAR: National Recovery and Peacebuilding Plan 2017–21’, Available at: <https://eeas.europa.eu/sites/eeas/files/car_main_report-a4-english-web.pdf> [Accessed 15 January 2017]. aBangui (2016b) ‘Centrafrique: Le Conseil National de la Jeunesse regrette son absence í la table ronde de Bruxelles‘, Available at: <http://news.abangui.com/h/55863.html> [Accessed 15 January 2017]. Only the first vice president, Pamela Derom, attended. Melton, Marissa and Solomon, Salem (2016) op. cit. It should be noted that international partners had hitherto agreed to fund the participation of youth organisations at the donors’ conference. Nonetheless, visas were either not issued to some participants or granted late for others. RFI (2016) ‘Threat of Violence Looms in CAR as France’s Sangaris Op Ends’, Available at: <http://en.rfi.fr/africa/20161030-threat-violence-looms-central-african-republic-frances-sangaris-op-ends> [Accessed 3 March 2017]. African Union Commission (2006) ‘AU Youth Charter’, Available at: <http://www.un.org/en/africa/osaa/pdf/au/african_youth_charter_2006.pdf> [Accessed 12 January 2017]. ONG Prospérité (2017) Email interview with the author on 5 February 2017. Appreciation is extended to Natacha Kunama, Priyal Singh and Senzo Ngubane for their input in this article.